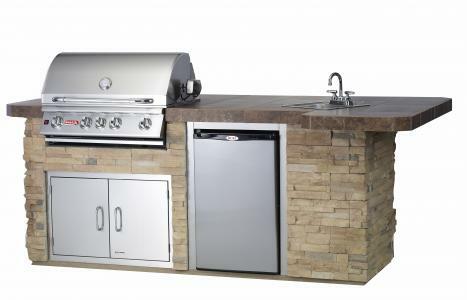 The BBQ Outdoor Island Kitchen is perfect for grilling your favorite recipes. 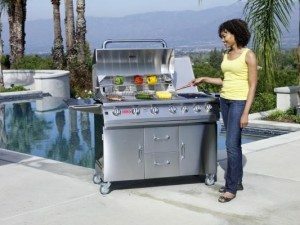 The “L” shaped BBQ design will become the center of your outdoor cooking and entertainment. The Gourmet Q Outdoor Island Kitchen is the largest of our islands. Its spacious bar area is perfect for a luxurious outdoor dining experience and ideal for entertaining. With its ample space for seating you can serve up your favorite grilling recipes in style.